A Lady Reveals Nothing: Canning. It's the New "Having a Boyfriend"
A few weeks ago I went up to my parents' place because I wanted my mom to teach me how to can. 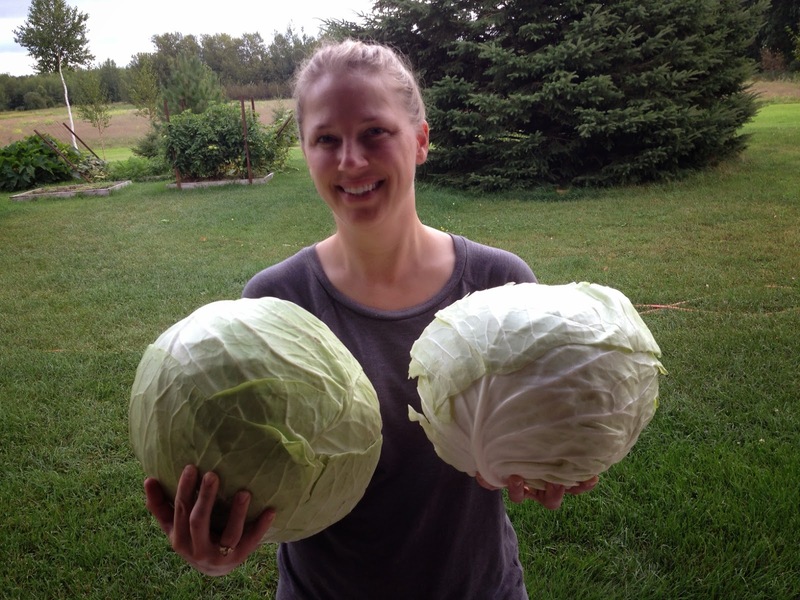 We found these fantastically gigantic cabbages at the farmer's market (I guess the deer ate all of the cabbage from my mom's garden). Look how big! It was fun chopping these babies up for like five minutes. And then it was terrible work. But the first five minutes? 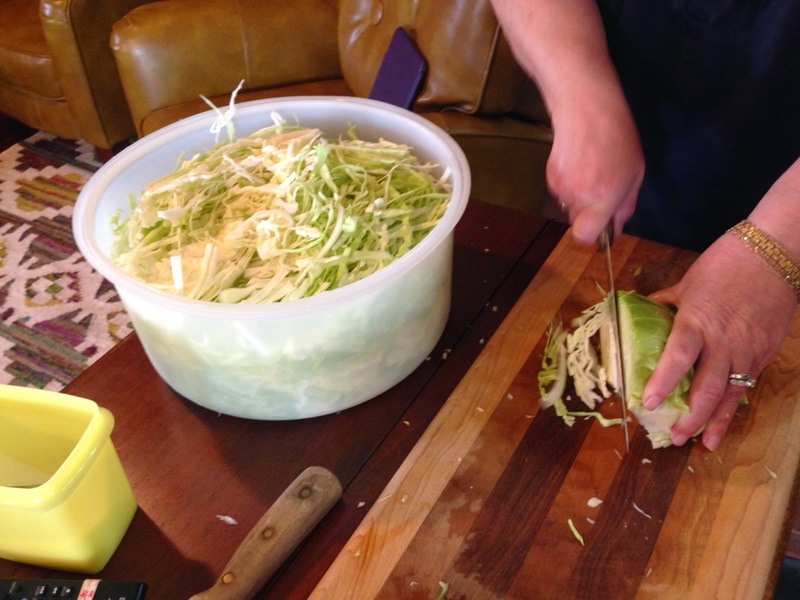 I just stabbed my moms knife into the gigantic head of cabbage and then it looked like the earthquake on the kids' movie Ice Age where the ice just split and split and split on its own. Cool. Chopped for days. Blisters and everything. 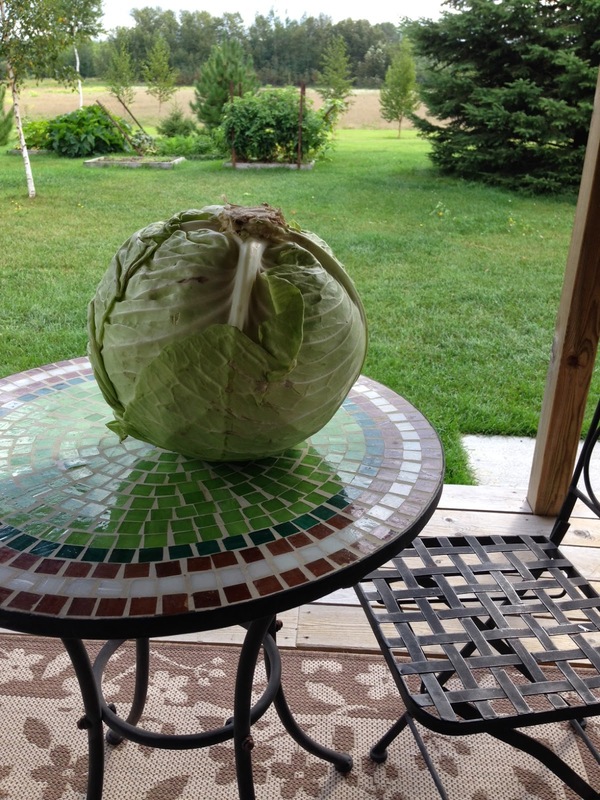 My mom bought 12 normal cabbages and I bought the two gigantic ones, which worked out to be the equivalent of about 8 normal sized ones. 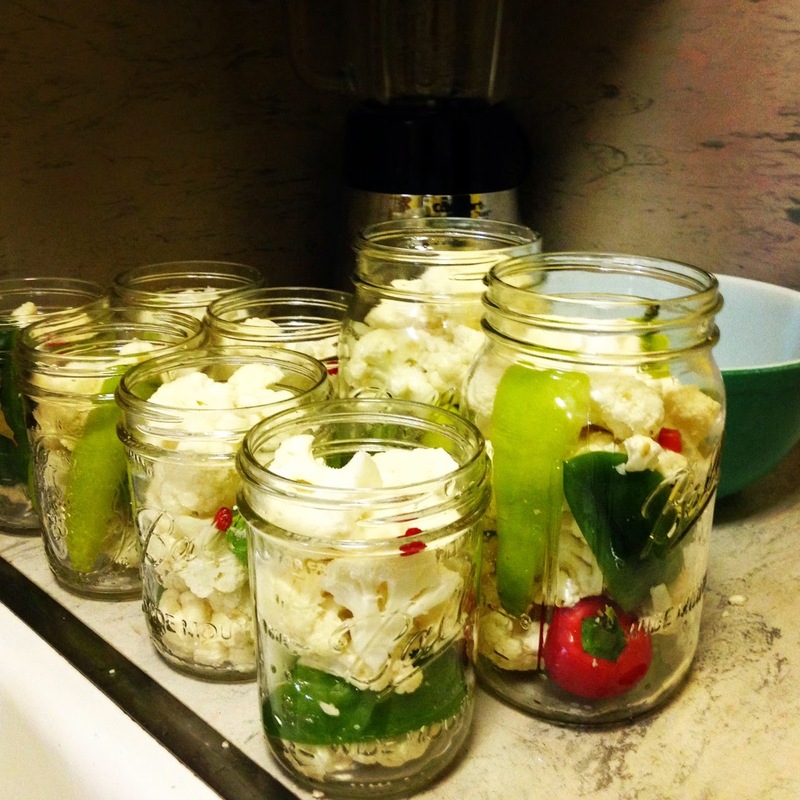 As you chop them, you salt them (canning salt or basically any iodized salt will work. 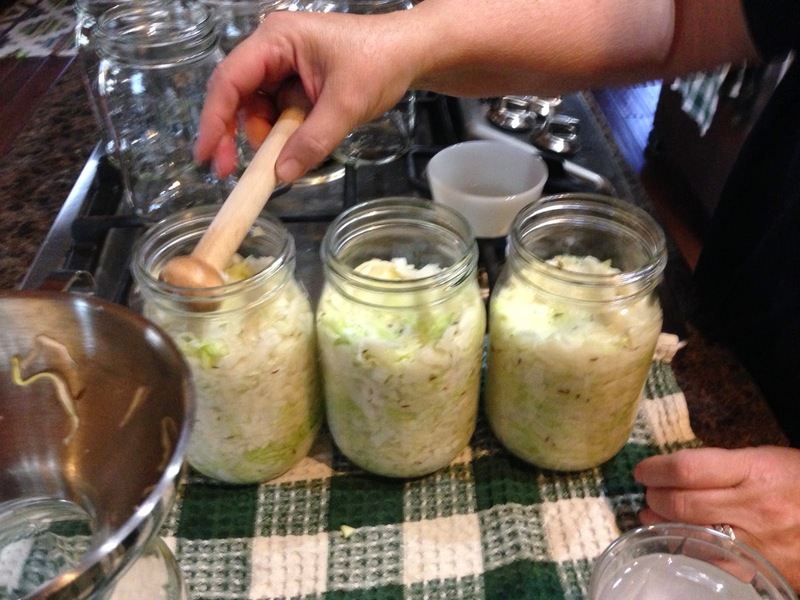 Then you let them sit for a few days and even a few weeks if you don't mind mold and/or fruit flies, but if you do mind those things you can SMOOSH the cabbage (mix in a bunch of caraway seeds) into jars. SMOOSH it HARD so you can fit a lot in there, and then you let that ferment for six weeks, or if you're like me and my mom you get impatient and water bath them after only a couple weeks. We figure they'll keep fermenting all sealed up. We hope. OH you can can anything!!! 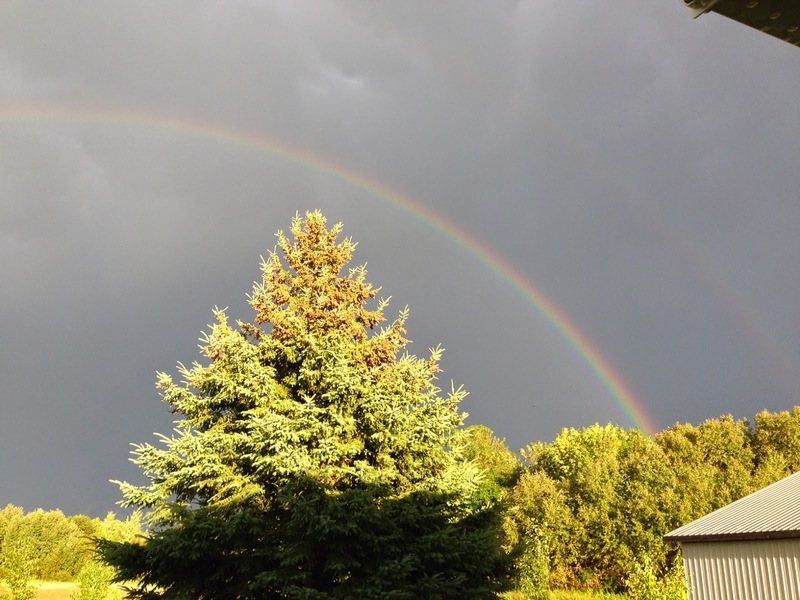 Take time out to see a full-on double rainbow! And now I'm self-sufficient. 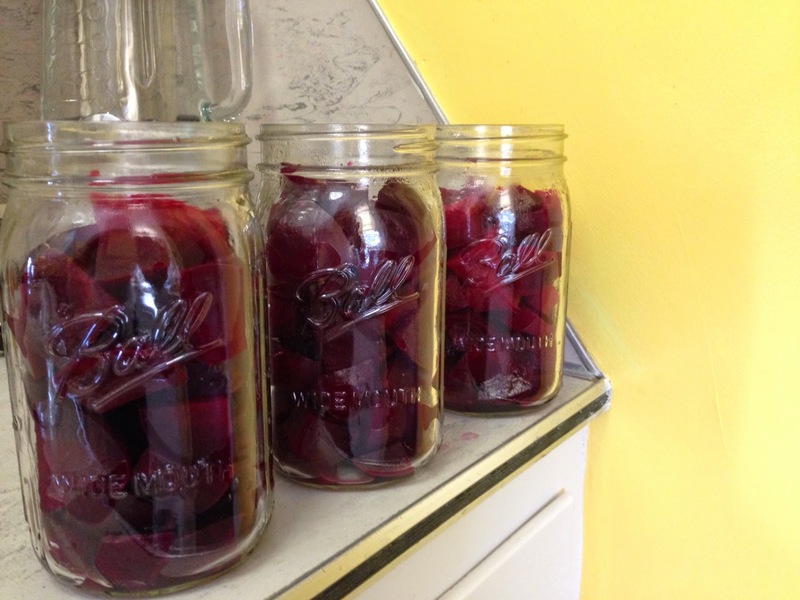 I'm mostly pickling beets and doing saur kraut at my place. I don't have all the fancy equipment but I really don't need it! I just use a big spaghetti pot with a little rack on the bottom and you know, can. THIS ISN'T A HOW TO BLOG OKAY?!? I just got a great 10 days with my mom and she taught me how to fish and now I can eat for life. Get it? 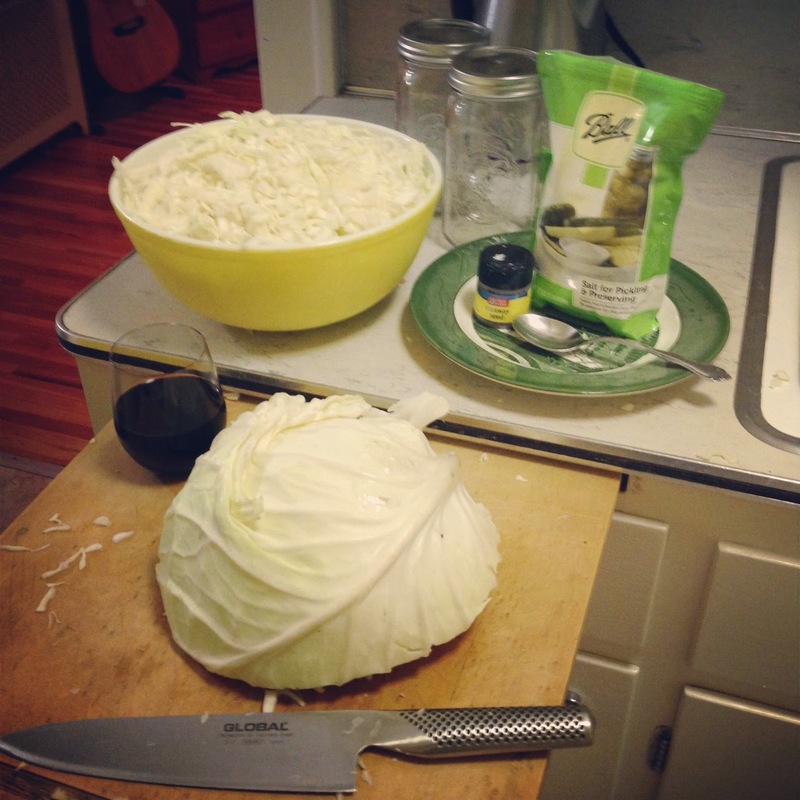 That's a lotta cabbage. Wow. 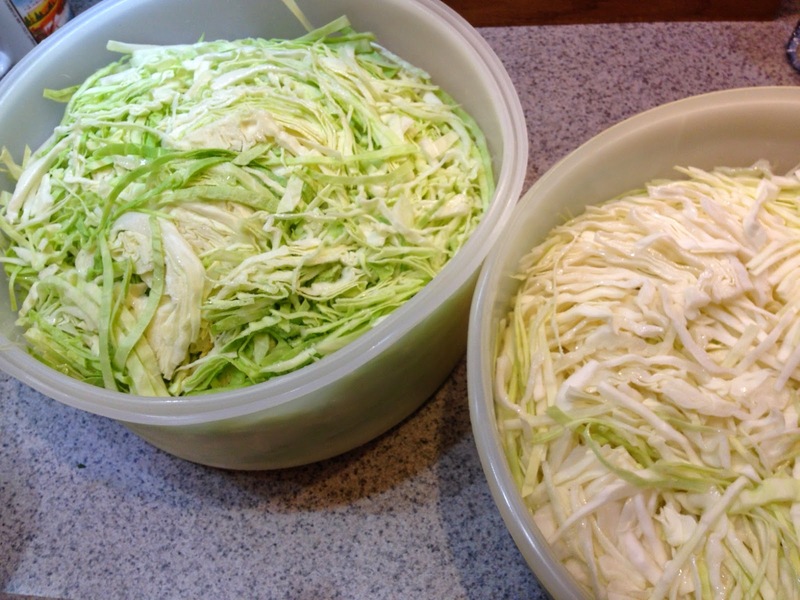 My brother makes sauerkraut-that's how he lost his sense of smell, by breathing in hot sauerkraut fumes, so watch out. 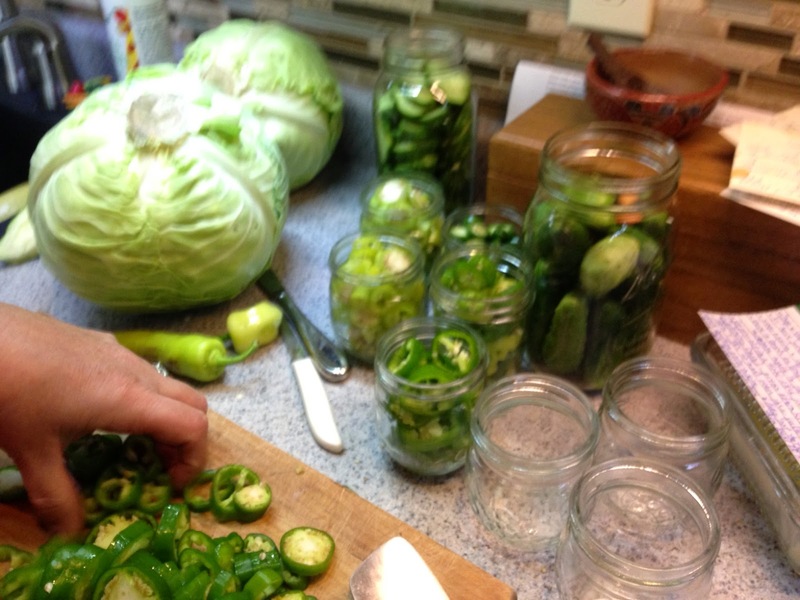 Canning=Danger! I had no idea I was so DANGEROUS!!! 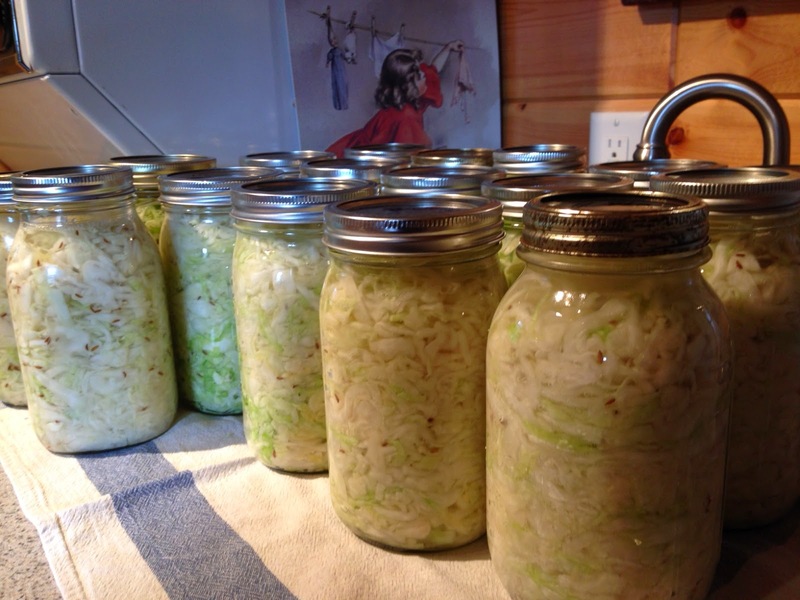 I am afraid of canning. I just know I would kill someone, but you go, girl.